MILAN, April 17, 2018 /PRNewswire/ -- Whether geometric and warm or decadent and expressive, modernism continues to make a powerful impression on the world of design. 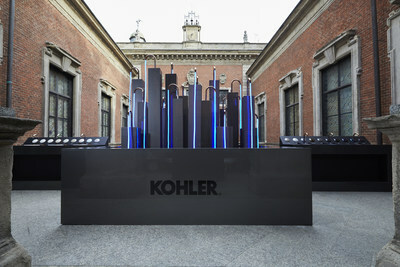 Kohler, a global leader in the design and innovation of kitchen and bath products, returns to Milan Design Week to host a weeklong celebration of modernism. Kohler explores the spectrum of modernism through the lens of today's globally aware society in this exhibition of design. Told through a series of artistic installations featuring the global brand's newest products, Kohler's insight into modernism gives visitors a view of the spectrum from minimalism to maximalism. Located at the historic Museo Bagatti Valsecchi, Via Gesù, 5, 20121, Milan, Italy the exhibit takes place from April 17 through April 21 (10am – 7pm daily). KOHLER's Components faucet line offers a wide range of modern, minimalist options that are pared down and refined, but luxurious and chic enough to make a statement in any setting. The matte black finish is a nod to contemporary and industrial styles, adding instant refinement. KOHLER Dutchmaster Floral collection explores dramatic botanicals in lush and moody hues that are sure to capture the eye of discerning consumers. Kohler's Ombré finishes make use of clean, minimal surfaces to highlight finesses transitions between color and graphic elements. Curated sets of color pairings include Rose Gold to Polished Nickel and Titanium to Rose Gold. "Great design is based on balancing the fundamentals with added layers of expression," said Mark Bickerstaffe, director of new product development for Kohler Co. "This year's exhibit leans into the idea of scalable modern design – products and spaces that are simple and clean to those that are complex and dramatic." Dutchmaster Floral Sinks: Named for the painterly style that inspired the sink's pattern, the new Dutchmaster collection explores dramatic botanicals in lush and moody hues that are sure to capture the eye of discerning consumers. This sink captures the movement and beauty of florals in its newest pattern to join the brand's globally-popular Artist Editions offering. PVD Ombré Finishes: Kohler's Ombré finishes make use of clean, minimal surfaces to highlight finesses transitions between color and graphic elements. Curated sets of color pairings include Rose Gold to Polished Nickel and Titanium to Rose Gold. Components Faucets: Putting the freedom of choice into the hands of consumers and specifiers, KOHLER's new Components line of interchangeable faucet elements offers a wide range of modern, minimalist options for composing a finished product. The line is pared down and refined, but luxurious and chic enough to make a statement in any setting. The matte black finish is a nod to contemporary and industrial styles, adding instant refinement. Veil Lighting Suite – The Veil collection gives modern bathroom design a new twist by featuring gentle lines and sculpted asymmetrical shapes. The collection's new Lighting Suite offers adjustable lighting on the mirror, sink, vanity, bath and wall-hung intelligent toilet. The lighting features provide users with the ability to optimize task and ambient lighting through scaled colors and light temperatures. Additionally, the vanity features a sensor-operated, adjustable glass that allows homeowners to switch from frosted to clear. Kallista Grid Faucet – Inspired by the fundamentals of the De Stijl movement, the Grid Faucet combines simple, geometric shapes and cutting-edge design. The spout's unique outline form and discreet waterways are created using 3-D printing technology, a first for the Kallista portfolio of products. 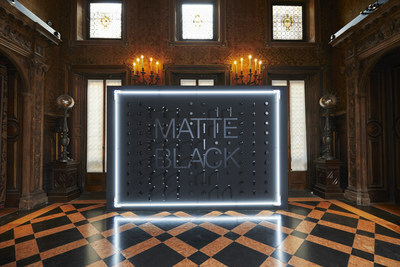 The exhibit itself will combine different elements of design, textures and lighting, including bright, neon accents to cohesively connect each of the product installations. Each of the featured Kohler products will be showcased outside of the typical bathroom context, further tying to the modernism theme and providing an immersive experience for visitors. In addition to the installation at the museo, Kohler products will also be featured throughout Surface Magazine's Milan Design Week pop-up, The Diner. Conceived and designed as a modern interpretation of the classic American restaurant, The Diner will feature an eclectic mix of American and global brands. For additional information about Kohler's newest product launches, please visit www.kohler.com. The Museo Bagatti Valsecchi is a historic house museum that is the fruit of the extraordinary collecting experience of two brothers at the end of the 19th century: Barons Fausto and Giuseppe Bagatti Valsecchi. Beginning in the 1880s, the two brothers dedicated themselves to the refurbishing of their family home nestled in the heart of Milan: a mansion between via Gesù and via Santo Spirito, today the center of Milan's fashion quarter. In order to create a home inspired by sixteenth century Lombard mansions, they also began collecting fifteenth and sixteenth century paintings and decorative arts for it. 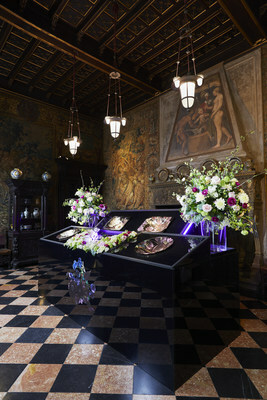 After the death of Fausto and Giuseppe, the family continued to live in the mansion until 1974, the year in which the Bagatti Valsecchi Foundation was created, and to which the art patrimony collected by the two brothers was donated. Opened to the public in 1994,The Museo Bagatti Valsecchi is not only one of Europe's best preserved historic house museums, but also one of the first grand expressions of Milanese design and the home of the first shower in Milan. Founded in 1873 and headquartered in Kohler, Wisconsin, Kohler Co. is one of America's oldest and largest privately held companies comprised of more than 30,000 associates. With more than 50 manufacturing locations worldwide, Kohler is a global leader in the manufacture of kitchen and bath products; engines and power systems; tile; and owner/operator of two of the world's finest five-star hospitality and golf resort destinations in Kohler, and St Andrews, Scotland.